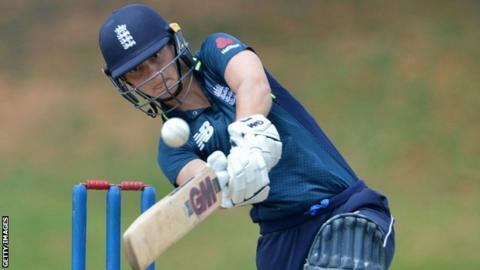 England's women claimed the one-day series in Sri Lanka by winning the second match of the three-game contest to take an unassailable 2-0 lead. Openers Amy Jones (54) and Tammy Beaumont (43) got England's chase off to a strong start. England will have expected to win this series comfortably, with Sri Lanka no doubt one of the weaker teams in the ICC Women's Championship. These two wins, though, have been not just comfortable but emphatic. A record ODI total in Sri Lanka in the first match, followed by a swift and successful run-chase in the second - the gulf in quality between the two sides is stark. Perhaps the only disappointment for England during the series so far is that the matches have been played in front of only a handful of spectators. The stadium in Hambantota is miles from anywhere, and with no local TV coverage it does feel like these matches aren't really registering with local fans.